No poet is more emblematically American than Robert Frost. From "The Road Not Taken" to "Stopping by Woods on a Snowy Evening," he refined and even defined our sense of what poetry is and what it can do. T. S. Eliot judged him "the most eminent, the most distinguished Anglo-American poet now living," and he is the only writer in history to have been awarded four Pulitzer Prizes. Henry Holt is proud to announce the republication of four editions of Frost's most beloved work for a new generation of poets and readers. 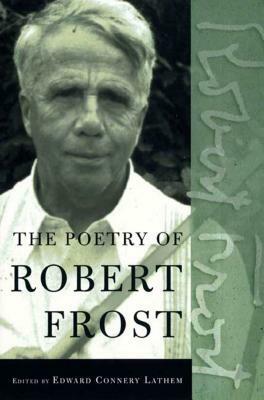 The only comprehensive volume of Frost's verse available, comprising all eleven volumes of his poems, this collection has been the standard Frost compendium since its first publication in 1969. Robert Frost (1874-1963) is this country's best-loved poet. His work epitomizes the American affinity for plain speaking, nature, and the land. He was awarded the Pulitzer Prize for Poetry on four different occasions, and also served as Consultant in Poetry at the Library of Congress.